For Immediate Release: Sept. 16, 2018 1:10 p.m.
DUBOIS, ID -- An emergency closure order has been put into effect due to the Indian Butte Fire. The area to the west of I15, south of Stoddard Creek and Pleasant Valley Rd. and east of Indian Creek. 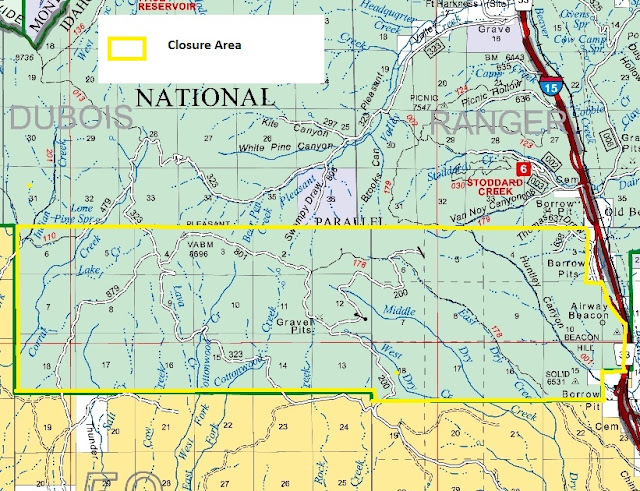 This area is located within the proclaimed and administrative boundaries of the Dubois Ranger District of the Caribou-Targhee National Forest located in Clark County, Idaho. 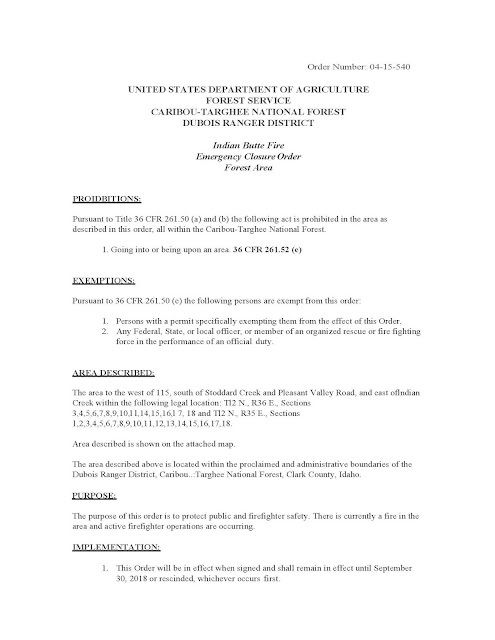 The purpose of this order is to protect public and firefighter safety. There is currently a fire in the area and active firefighter operations are occurring. 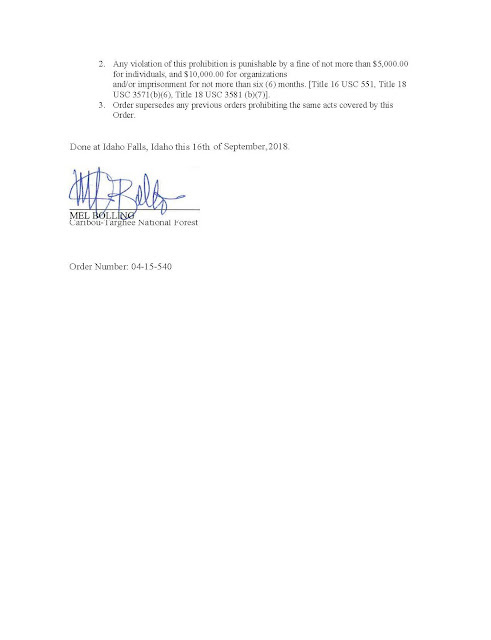 This order will be in effect until Sept. 30, 2018 or when rescinded.